Austin Peay jumped out to a 1-0 lead in the top of the first inning on a sacrifice fly by Kacy Acree, but the Warhawks would take the lead for good in the bottom of the second by scoring two runs. ULM would extend its lead out to 5-1 with three unearned runs in the bottom of the fifth, before Brooke Pfefferle drove in Katie Keen and Emily Moore with a single in the top of the sixth inning for the final runs of the game. The Govs send 11 batters to the plate in the first inning, scoring seven of them, including Acree, Carly Mattson and Morgan Rackel driving in two runs each in the frame. Austin Peay continued the onslaught with a two-run single by Kelsey Gross in the second inning before exploding for six runs in the third inning – including a two-run homer by Acree to go with RBI hits from Mattson, Gross and Moore. 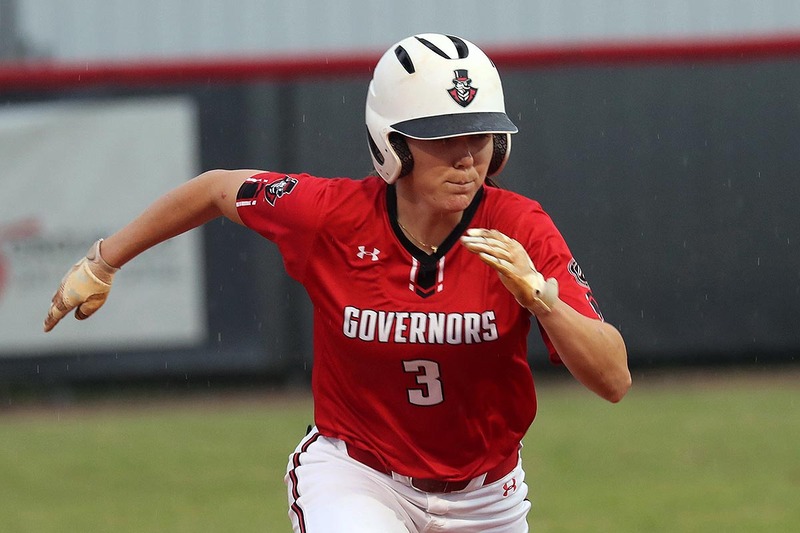 The Govs would close out their scoring with three final runs in the fifth inning, with Gross recording an RBI triple and Moore and Danielle Liermann collecting RBI singles. Morgan Rackel (2-0) would record her second complete-game victory of the season, giving up seven hits while striking out four. The 18 runs scored by APSU versus UAB tie for the fifth-most scored in a single game by the Govs in program history and the most since scoring 18 versus Trevecca in 2013. The wins versus UAB was the Govs first in three tries with the Blazers. Kacy Acree’s home run versus UAB was the 23rd of her career moving her into fifth-place all-time in school history. The seven-run first inning versus UAB was the most runs scored in an inning by APSU since scoring seven runs in the third inning versus Eastern Illinois on March 19th, 2015. The 16 hits for the Govs versus UAB is the first 15+ hit game for the Govs since a 17-hit contest versus Gardner-Webb on February 12th, 2016. Carly Mattson’s four-hit day versus UAB was a career single-game high. Mattson’s two doubles versus UAB gives her 50 total extra-base hits in her career, the seventh-most by a Gov in program history.